A Nova Scotia South Shore Treat! 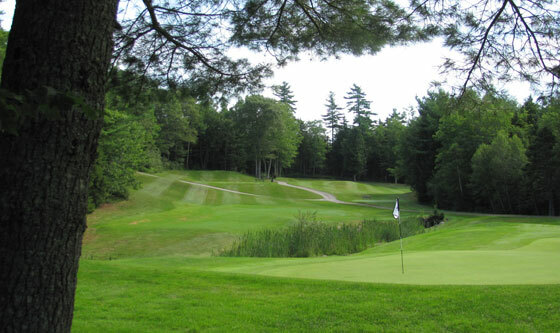 Golf has been played on the south shore of Nova Scotia in the town of Bridgewater since the mid 1920’s when a 9- hole course was laid out on the hills overlooking the town. Over time the residents of this Lunenburg County town set in motion a plan to expand the original routing to 18 holes. Along the way the vision was altered and their sights were set on building a new championship layout. 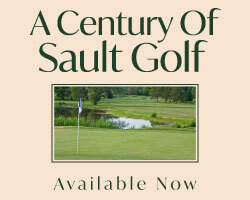 Graham Cooke was brought in to design and oversee the new creation and in May of 1998 the first ball was struck off hole number one at Osprey Ridge Golf Club. Nova Scotia is home to host of wonderful layouts and with the all the noise about the openings of the Links and Cliffs courses at Cabot in Inverness and Burnello in Halifax I had not heard much about Osprey Ridge. I knew it had hosted numerous high level Canadian and Provincial amateur tournaments over the years so I figured it must be a solid track thus my expectations were pretty high. After walking off the 18th green of this 6607 yard routing that features tree-lined fairways, plenty of elevation changes, large undulating greens sites and water hazards that will grab your attention on more than half the holes, the course more than exceeded my expectations. The clubhouse is perched atop a large ridge that runs through the property with most of the course laid out below. Cooke’s layout is a test for all, especially the skilled low handicapper. From the back tees, which seems to play longer than the yardage listed on the scorecard, the design calls for length and accuracy off the tee and precise distance control with the irons to find the pin locations on greens that contain plenty of tiers, slopes and ridges. A tidy short game will be required if you wrong side yourself too often at Osprey. The Blue, White and Red tees are sensibly set at 6209, 5730 and 5054 yards allowing players of different lengths and abilities to enjoy a test suitable to their skill set. It’s tough to single out a few holes as better than the rest at Osprey. It is solid a routing packed full of really good holes. The collection of par five’s are creative holes offering varying degrees of risk reward through the use of doglegs, elevation change and length. Holes 2 and 16 are lengthy affairs measuring over 550 yards and you will need to tap into your inner beast if thoughts of reaching either green for eagle attempts is on your mind. The crossing creek shy of the green on number two will give you pause for thought while gravity is not your friend on the uphill double dogleg number 16. Both the 7th and 13th holes will present the long hitters with eagle opportunities; however, there is no margin for error on either hole. Seven is tight with bunkers in play off the tee and the sloping green site features deep bunkering while the bunkers at the outside corner of the slinging dogleg right 13th need to be avoided for any hope of a red number being posted on the card. The five par three's vary in length nicely and are a mix of flat, uphill or downhill which will have you reaching for a different club on each tee. The 15th is an all world par 3 whether played from the red tees at 110 yards or from the tips at 197. Playing from a slightly elevated teeing ground your approach must avoid the fronting pond and loan bunker left. 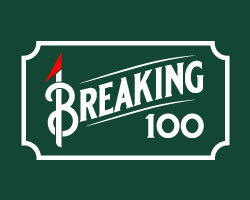 Long will leave a nasty downhill chip to a putting surface featuring a ridge that wants to funnel the ball away from pins located near the edges –a back right pin position is a sucker pin. Proper club selection is at a premium here. As superb as the collection of Osprey’s par five’s and three’s play I opted to give the hall of fame nod to four par fours. Each demands you employ equal amounts of your power game, finesse and strategy –and a soft touch around the greens is a must. The straight away fourth hole is the beginning of the toughest three hole stretch on the course. Long and straight is the only option off the tee with the landing area sloping left to right towards a pond and three trees in succession encroach from the left and will impair the approach shot of any ball that comes to rest tight to the left. There is no bunkering to avoid on the approach shot, however, the false fronted green is of the tiered sloping variety so the short ball will trickle back down leaving a tricky pitch up to the pin. Long is the cardinal sin leaving a downhill up and down next to impossible. Hole 5 plays slightly uphill and the prevailing winds blow into your face making the longest par four on the course play even longer. Long down the right centre, avoiding a right side pond and fairway bunker, is the drive location of choice setting up the best angle to the long narrow green protected by fronting bunkers left and right. Back to back pars on these holes is something to brag about. Where power off the tee is your biggest ally on holes 4 and 5 the 12th and 14th holes require a little more finesse. Perched atop the ridge that bisects the property the drive off the twelfth tee has a fair amount of elevation drop. The big stick may not be the club here for the bombed drive downhill and downwind may bring a large crossing pond into play. The prudent player will opt for a lesser club to find a small plateau leaving an approach in the neighbourhood of 165 to 175 yards. Taking it farther down the fairway will leave an awkward downhill lie or risks running through the fairway into the rough fronting the pond. The green is massive so pay attention to the pin position for a wrong club selection could leave a putt in excess of 80 feet. The final of this wonderful set of par four’s, the short 14th also plays downhill. The ideal tee shot should be directed right of centre to taking advantage of the fairways downhill right to left cant –once again driver may not be the club of choice for the fairway narrows in the landing area. The downhill short iron shot to the green should come in left of the pin for the two tiered green slopes away steeply to the right. Keeping the ball below the pin is a must; however, the miss hit short will bring a front left bunker and fronting pond into play. 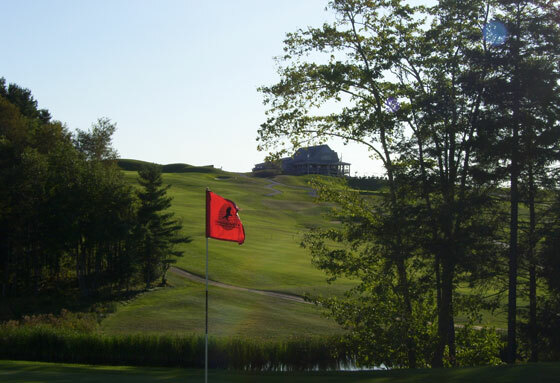 Golf enthusiasts will find Osprey Ridge is well worth the hour’s side trip out of Halifax and it is only 20 minutes from Lunenburg so you can sneak over for a quick Bluenose sighting après round and poke around this scenic historic town and experience some rural east coast culture.